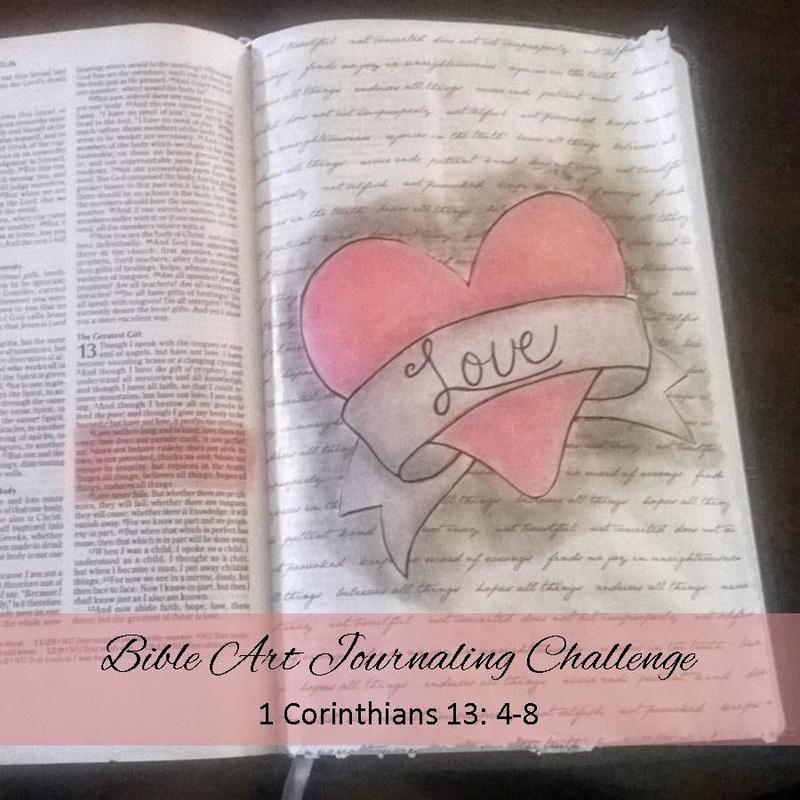 The verses for this week's Bible Art Journaling Challenge are 1 Corinthians 13: 4-8. "Love is patient, love is kind. Love does not envy, is not boastful, is not conceited, does not act improperly, is not selfish, is not provoked, and does not keep a record of wrongs. 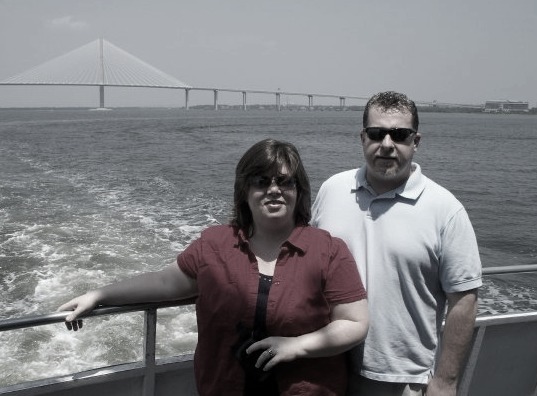 Love finds no joy in unrighteousness but rejoices in the truth. It bears all things, believes all things, hopes all things, endures all things. Love never ends." It is so appropriate that these verses were chosen for this week's challenge. This week we celebrate the official love holiday, Valentine's Day. Splashed everywhere is the world's idea about what love is. Some of it hits the mark but some of it is so far from what God intended that it makes me sad. 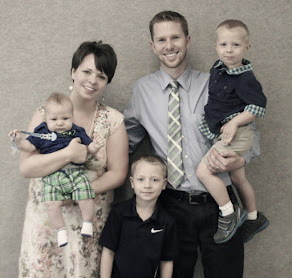 As a Christian I am very familiar with the thirteenth chapter of first Corinthians. I've studied it often, but the thing that stood out to me this time was the very end of our focal point; Love never ends. "Now these three remain: faith, hope, and love. But the greatest of these is love." Again my notes say that of the three aspects faith, hope and love, love is the greatest because it continues on into eternity. Faith and hope are both fulfilled with the return of Christ but love never ends. Aren't we glad that love is what endures? 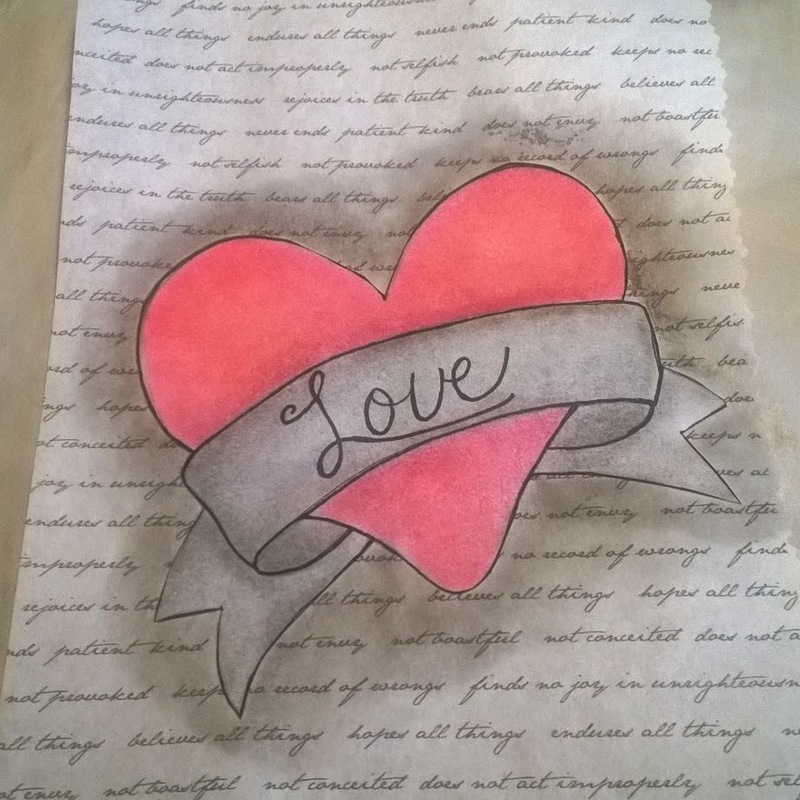 This week Rebekah's art example is beautiful yet simplistic. 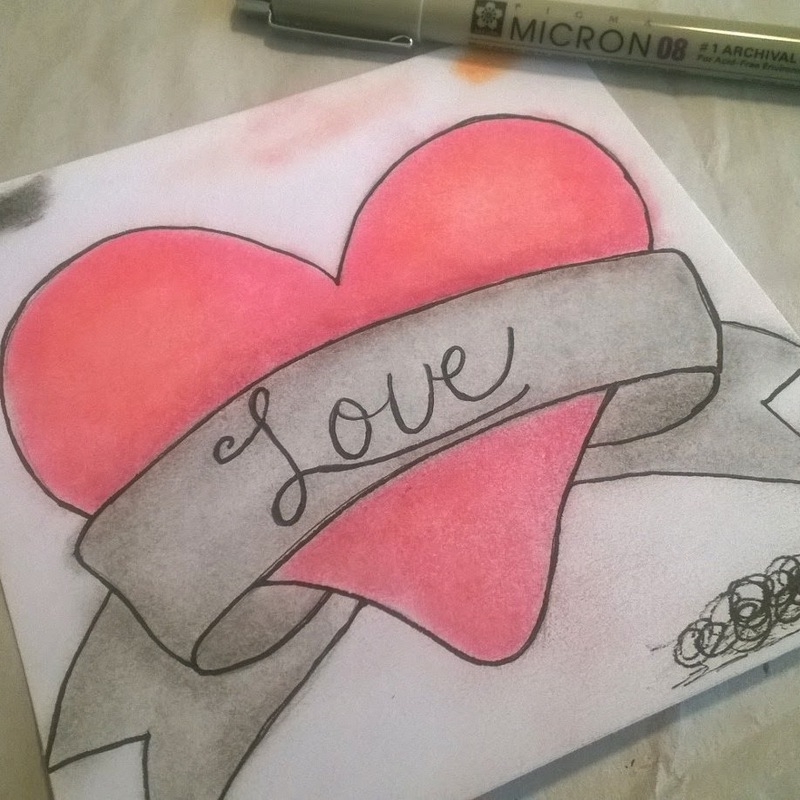 She used stamps and an embossing technique. I didn't have stamps that would work for this week so I decided to try something a bit different. 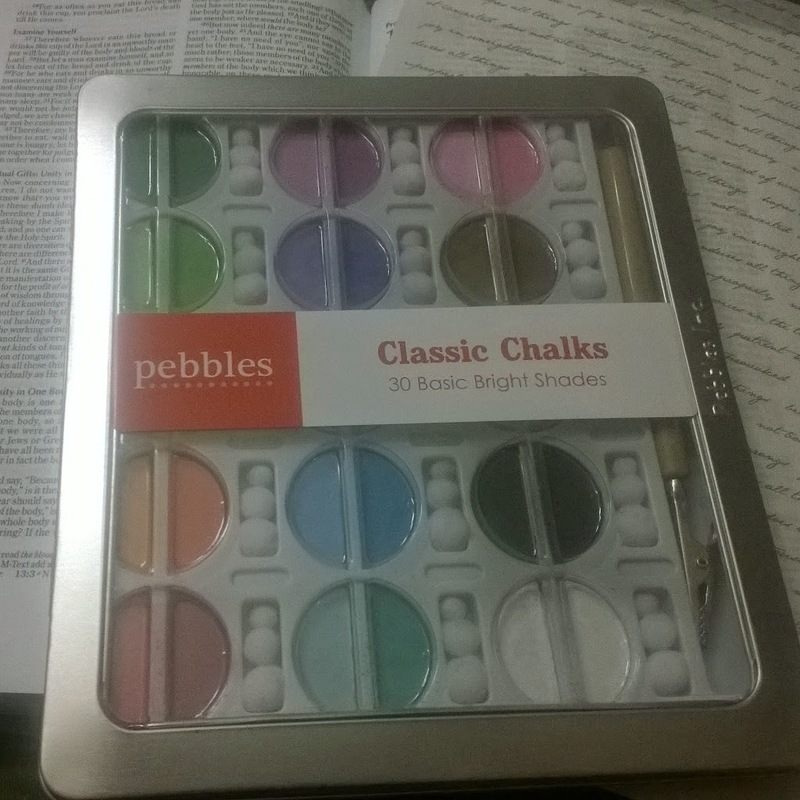 I recently ordered this Pebbles Classic Chalks set from Family Christian. I've never used a chalk set like this but I thought I'd give it a try this week as an experiment. Since I've never used the chalks I decided not to put my art directly on my Bible page. 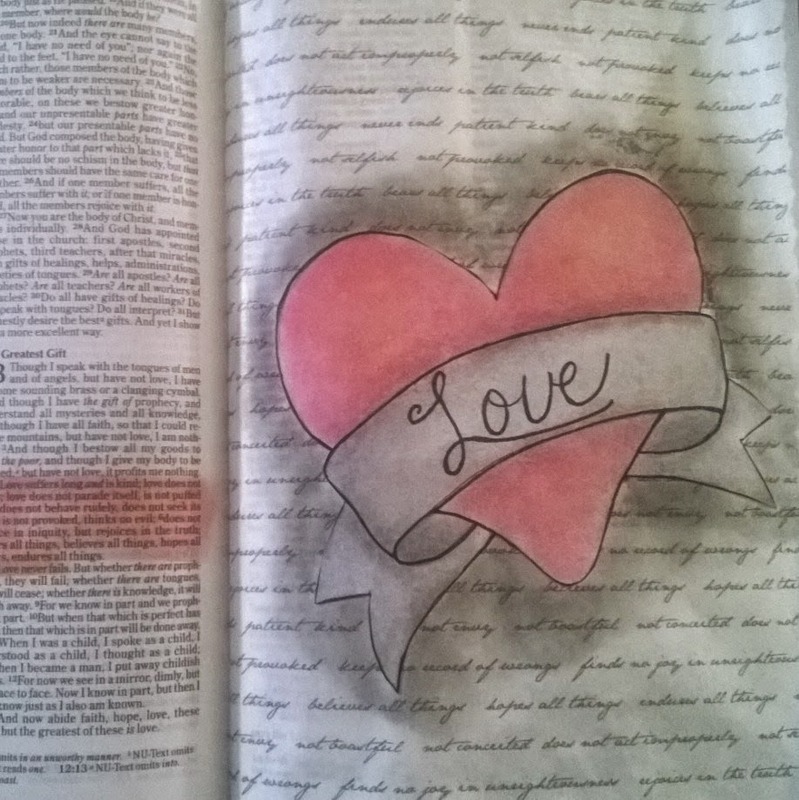 Instead I decided to do it on a separate page and add it into my Bible like I did with the week three challenge. The first thing that I did was make my background paper. I simply typed out 1 Corinthians 13: 4-8 in Microsoft Word. Then I simply copied and pasted it until it filled the page. Then I changed the font to a size 12 Jane Austen type. I printed the whole thing out on tracing paper. 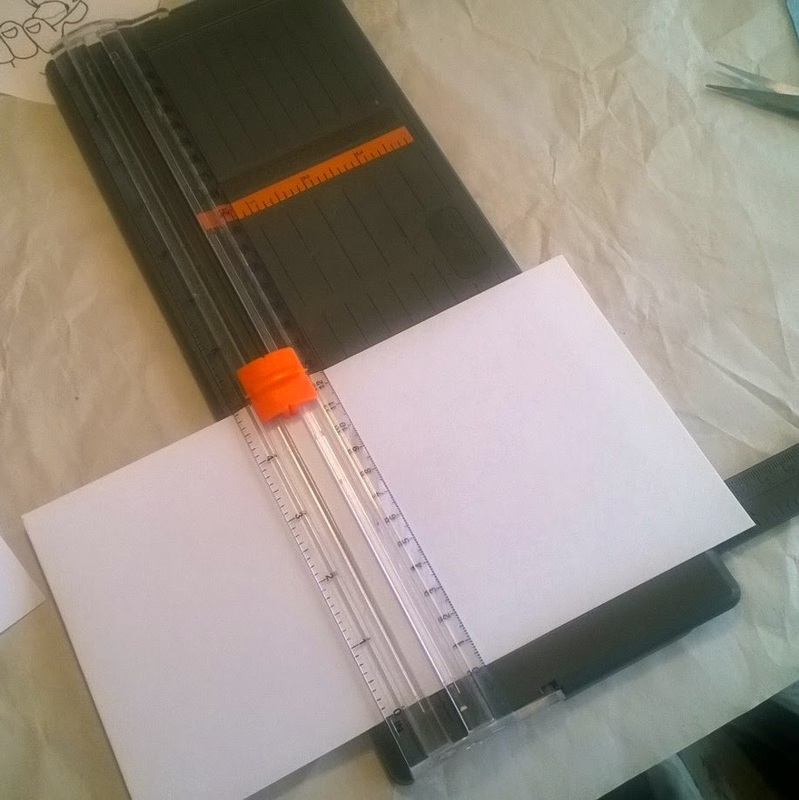 I then measured my Bible page and used my Fiskars Desktop Trimmer to cut my paper down to size. I then took a piece of drawing paper and cut it down as well. 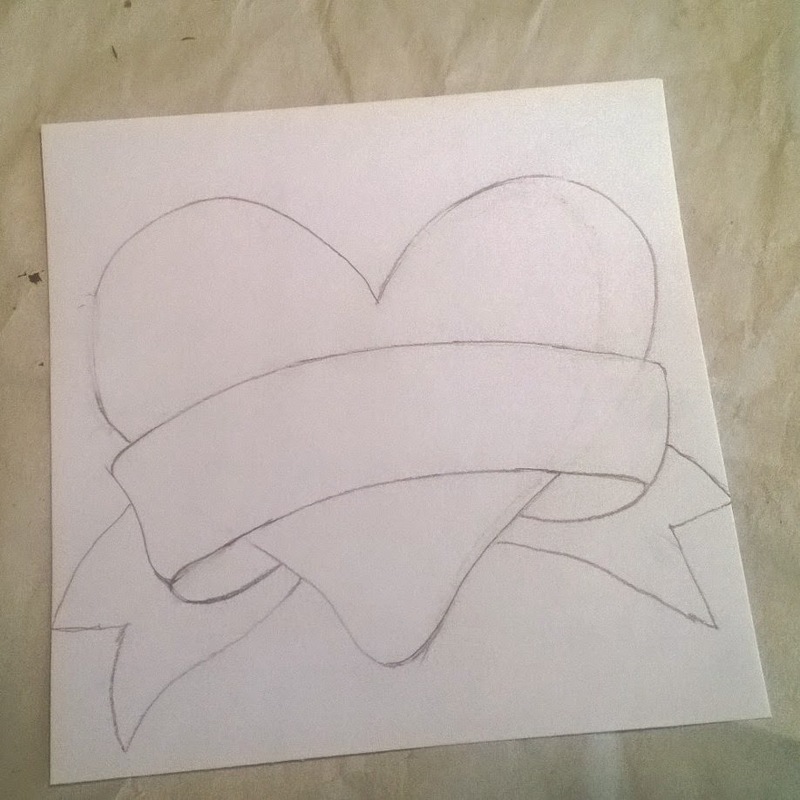 My next step was to sketch out the design that I wanted to use. I just used a regular #2 pencil. 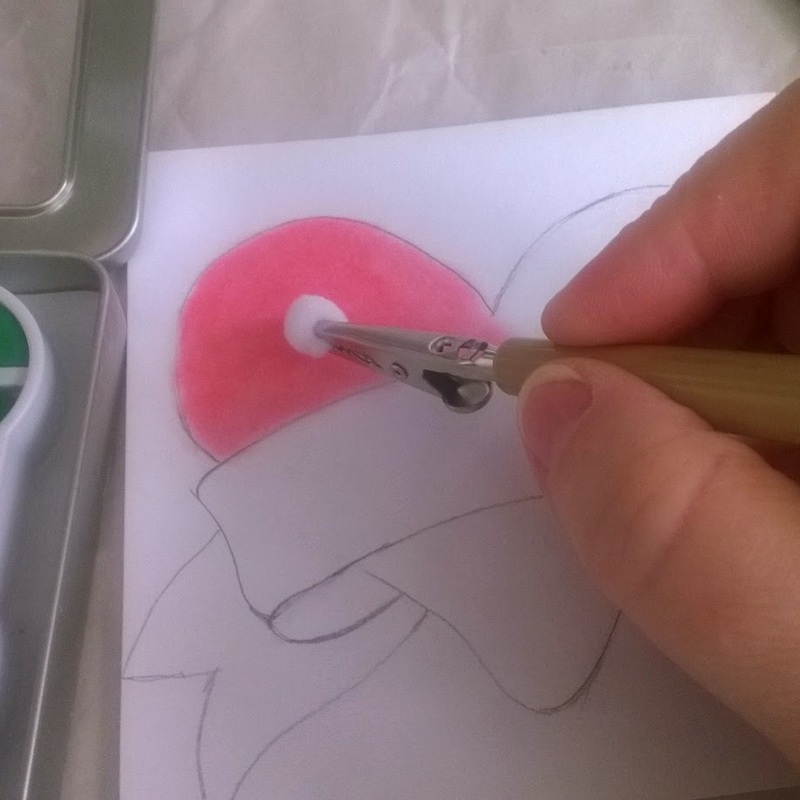 For me it is a process of draw, erase, draw, erase, etc. I'm not a very skilled sketch artist. I then took a deep breath and started to fill my design in with the chalks. 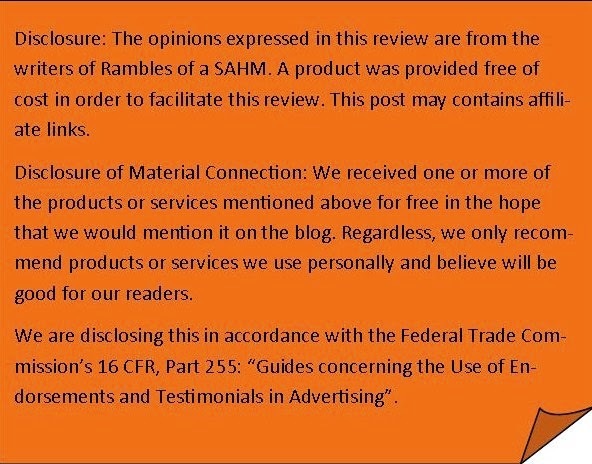 I love this product! I am primarily an acrylic painter and this process reminded my of a dry brush technique. You can "scrub" on the chalk and come up with a deep color or simply "tickle" the page and have a very soft color. This is simple enough that your older kids would love it too. The next step was to add shading and highlighting. The colors layer really well. 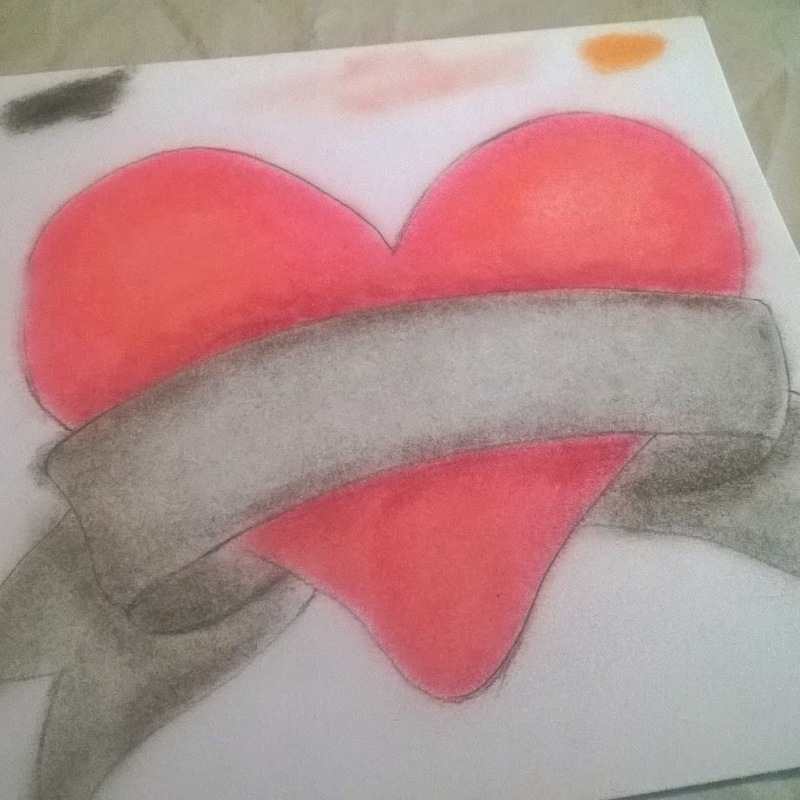 It is kind of hard to tell in this picture but I used some oranges on the heart itself and in person it adds dimension. I experimented using some very pointed cotton swabs that I have. They worked great. Next I added simple ink details using an .08 Pigma Micron Pen. So essentially my design is finished. According to all that I have read I needed to use some sort of fixative to seal the chalk (and ink) so it wouldn't smear. I chose to use my favorite Krylon Matte Finish Spray. According to my husband when he did chalks in high school art class they just used Aqua Net Hairspray to seal their projects. Might be interesting to experiment! After all of that I just simply cut around my design and glued it to my page. I then used the chalk to shade around the whole design. I sealed the whole thing and then glued the completed page into my Bible. I also used the chalks to highlight the text for the challenge. After completing this project I wouldn't hesitate to use the chalks directly on my Bible pages. The text shows through the chalk so for me it would be a great tool to use when I want to do an illustration that takes up the entire page.